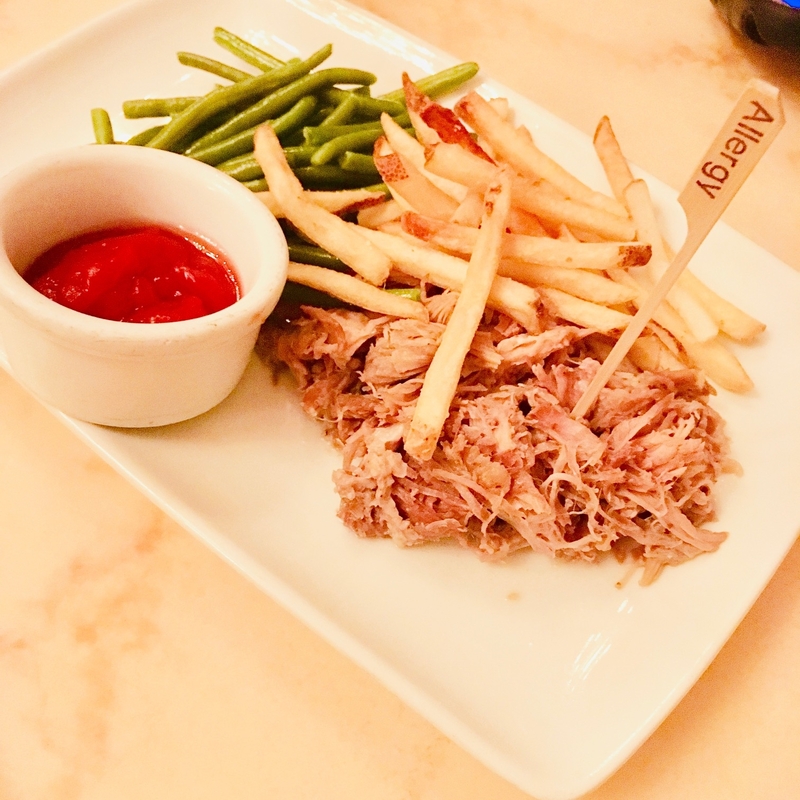 My family loves the Disney Dining Plan and on this past summer’s Walt Disney World Resort and Theme Park vacation, we decided to go on the Quick Service Dining Plan which was part of the Walt Disney World – Free Dining Promotion. We stayed at a Value Resort (POP Century, you can read about our awesome experience here) where the Quick Service Dining Plan (QDSP) was included. The Quick Service Dining Plan is just that, ALL your meals are “Quick Service” or what the food industry may call “fast food”. 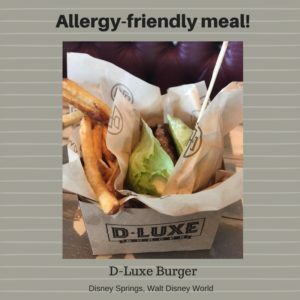 I already knew that Walt Disney World is fantastic with food allergies from our previous experiences with Table Service or “Sit Down” Restaurants, however I was a bit hesitant if we could manage a whole week with just Quick Service Dining, especially pertaining to my son’s Food Allergies. My son was 3 years old at the time of our last vacation and he has severe food allergies, he is anaphylactic to Dairy, Wheat and Egg. This makes eating out really difficult and we never eat at any type of “Quick Service” eatery at home. Another reason why we love the Dining Plan(s) at Walt Disney World is because, coming from Canada, we don’t have to worry about currency exchange or “sticker shock” from paying meals out of pocket. It kind of feels like an all inclusive vacation when the Dining Plan is included with a promo or we would pay extra for it and add it to our Walt Disney World Vacation package. 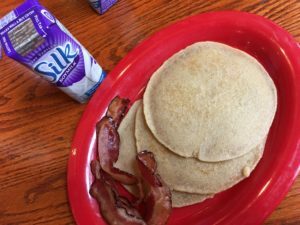 Here are tips and reasons why being on the Quick Service Dining, with my son’s food allergies, was a success for our family. Please be reminded that what may have worked for our family may not work for yours, so it’s always important to do research. Read further for resources and read on until the end to find out if we would do Quick Service Dining Plan with Food Allergies on our next vacation. Disclaimer: Always consult your Allergist and Medical Specialists. The information about the following tips can change at anytime. The author as well as the whole team of the Tips from the Disney Diva, do not assume any responsibility for any injury caused, as you must always be personally vigilante, always researching and always asking when dealing with your own food allergies or those of your family members or anyone you are traveling with. Why did we choose to be on the Quick Service Dining Plan over the other, more expensive Dining Plans with Table Service? The first reason is because the QSDP was included with our Value Resort Free Dining Promotion (if we booked select Moderate Resorts, QSDP was included with the Free Dining promo as well). If we had booked a Deluxe Resort with the Free Dining Promotion, we would have the Table Service Dining Plan included instead (please note, not the Deluxe Dining Plan which is the highest end Dining Plan, Disney Magic Diva shares her experience here). For our family’s previous Walt Disney World Vacations, we have had the Free Dining Promo booking a Value Resort, which we then upgraded to the Regular Dining Plan and enjoyed many Character Buffets – this was before our youngest son with Food Allergies was born. We decided not to upgrade this time and just stick with QSDP. What are the Benefits of the Quick Service Dining Plan? The Quick Service Dining Plan is a great plan for visitors who don’t want to be tied down to a Table Service Restaurant, every day of their vacation or don’t want to be stressed out about making Advanced Dining Reservations (ADR). It is also a wonderful way to save money as the QSDP is the cheapest of the all the Dining Plans Disney offers and you don’t have to pay any tip on top of your meals like you would for Table Service. 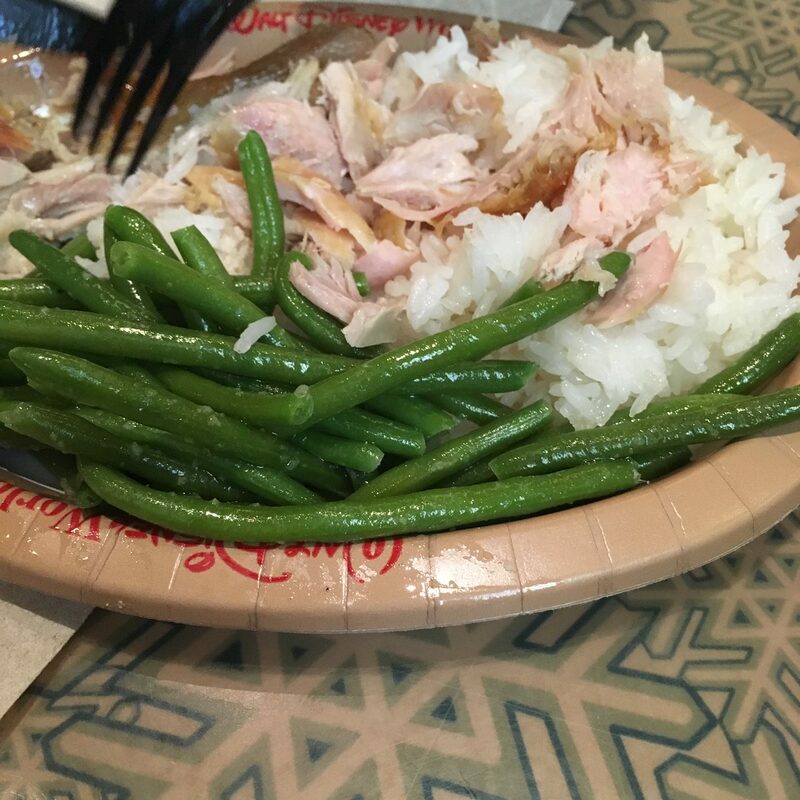 For our recent vacation on the QSDP, I was looking forward to the flexibility of the plan where my family could eat at any of the hundreds of Quick Service Restaurant Walt Disney World has to offer in their Theme Parks and at all of their Resorts. BUT even though these eateries are considered QUICK SERVICE you still have to have a PLAN, especially if you or your family member has Food Allergies and to be honest, it isn’t exactly a ‘quick service’ for Food Allergies, although our family was just happy to be able to eat outside of our home and not have to prepare any food to bring! Even though you are on a Quick Service Dining Plan, I would still recommend that you contact Walt Disney World’s Special Diets: special.diets@disneyworld.com (if you are on the other Dining Plans, it is vital that you contact them). You will most likely receive a very generic email back, however it is good for Disney to know that you are in the system. They will probably already know about your resort reservations by your name and although they cannot guarantee anything while you are on your vacation, they do make some general suggestions. I personally believe that the fact that you are in the system and that they know visitors with Food Allergies will be vacationing at Disney World at a certain time, this may help prepare them in advance as well. Planning a Walt Disney World Vacation, you are required to do a lot of research already. With Food Allergies, you need to do even more research!! What I did was seek out a Facebook Group that specializes in Food Allergies at Walt Disney World. I was so happy to find the Disney Food Allergy Group which is a fantastic group. There are thousands of members with multiple food allergies who visit Walt Disney World many times a year. They recommend the best restaurants to visit, give great tips to new vacationers and many of the members provide up to date news on any Food Allergy related issues at Walt Disney World. 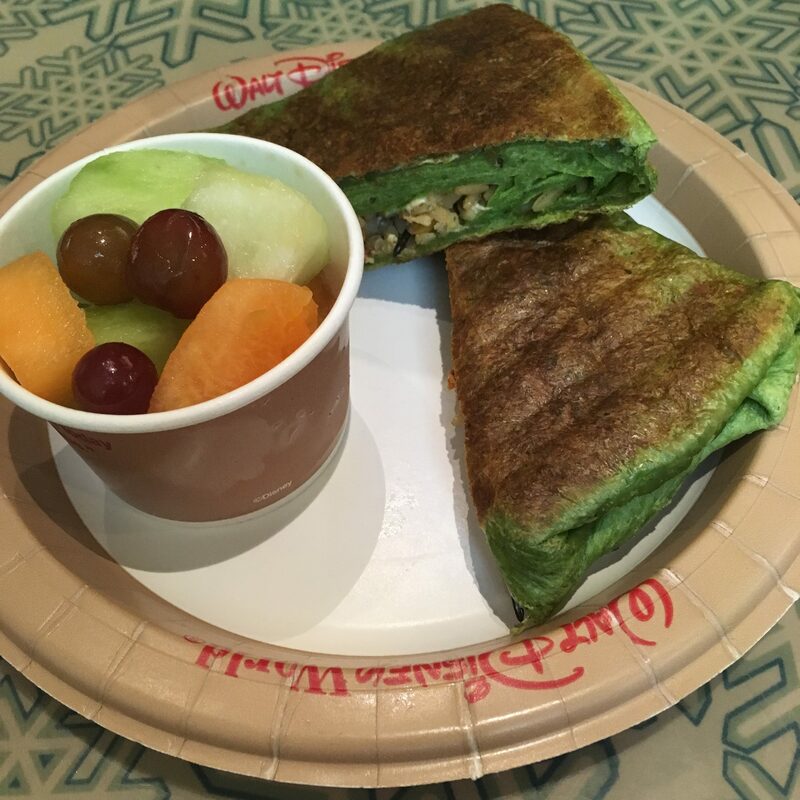 Disney World Food Allergy Blogger, Tina M. Brown of Footprints in Pixie Dust, is an Orlando local and visits Walt Disney World multiple times a week. She knows many of the Chefs and restaurants that are allergy-friendly, read her great suggestions and experiences of dining with food allergies here. 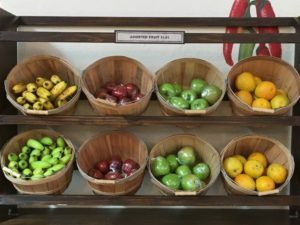 Food Allergy Blogger, Janice Brady of An Open Suitcase, has a fantastic article about Dining at Walt Disney World with Food Allergies here. 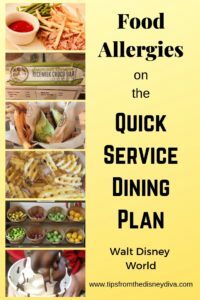 Janice was a writer here at Tips from the Disney Diva and wrote this excellent article on Allergies in general at Walt Disney World including how you can get an Allergy “clean” for your Resort Room here. 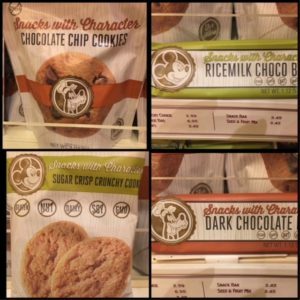 And the Blog that our family first turned to when we found out about my son’s dairy and wheat allergy is Sarah of Gluten Free & Dairy Free at Walt Disney World. She recently provided important information on cross contamination and dedicated fryers at Walt Disney World on her Facebook page here. A great resource for everything gluten free is Alexis’s Gluten Free Adventures which she has a whole section on Disney World Restaurant reviews. And a great Allergy-Free Guide to Walt Disney World is the Allergy-Free Mouse. I also like to read articles from other resources even though they may not be Food Allergy specific. By reading about all the different Quick Service Restaurants, I can get a general idea of which eatery has more variety, which eatery offers what type of foods as well as theming. 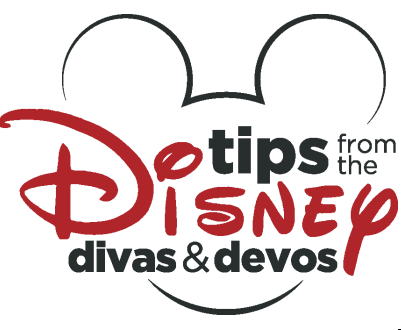 Of course my favourite resource is of course right here at the Tips from the Disney Diva where our writers have reviewed many of the Quick Service Eateries in Walt Disney World and Disneyland. I also love the Unofficial Guide to Walt Disney World which has the best ratings of ALL Walt Disney World Restaurants. By reading the “grading” and description of each restaurant by the Unofficial Guide, I can figure out which one would best suit our family. Erin Foster, a writer for the Unofficial Guide and their website, Touring Plans (which has the best Touring Plans, hence the name) wrote a great article on Quick Service Meals for KIDS here, where she tried THIRTY (that’s right, 30) different kids’ meal and talks about the different varieties and offerings Walt Disney World has for kids. My favorite YouTuber and blogger for all things Disney Food is A.J. Wolfe of the Disney Food Blog, she is the ultimate Disney Foodie and provides great tips and all the current happenings of Disney Food as well as great reviews of all the Walt Disney World restaurants. 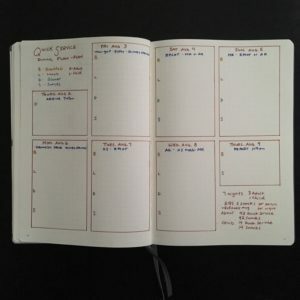 WRITE everything down or if you have a planning app on your smartphone, use that. 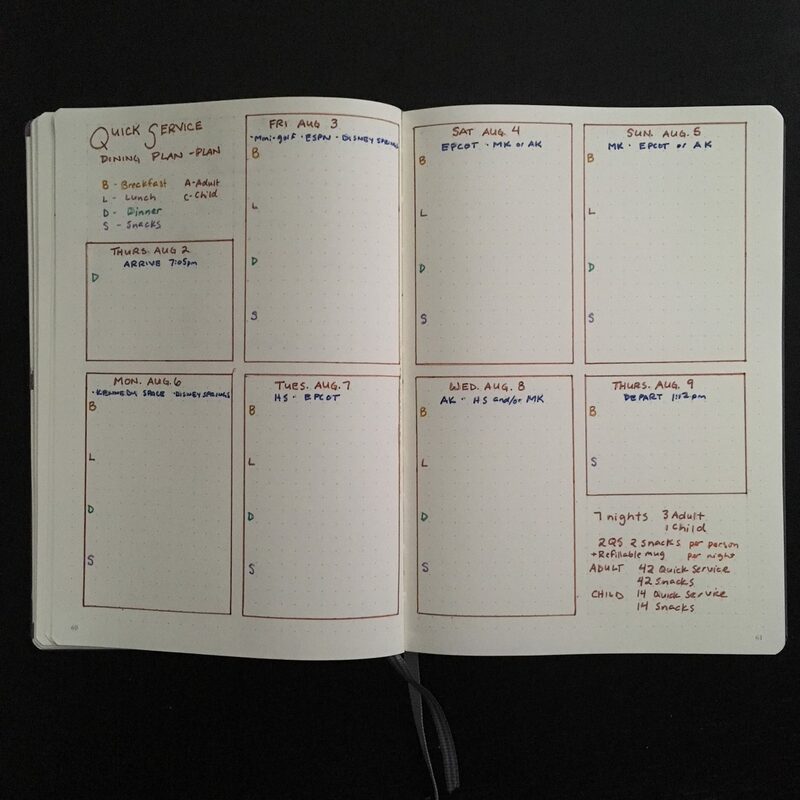 I like to keep a Travel Journal and jot down everything from before my trip, with all my planning notes and during my trip, I do a kind of diary in this journal as well as writing thoughts at the end of my trip to improve for my next vacation. Along with all the Fastpass + we booked and knowing which theme park we are visiting on each day, I write down every potential Quick Service Restaurant we are thinking of visiting, based on research above and seeing menus* of which our family would be most interested in. I wrote in where we were thinking of having Breakfast, Lunch and Dinner and I had a WHOLE section on SNACKS and where we can get them. This may seem like a lot of work but it will save time and hassle when you are at Walt Disney World. An overview of our week long vacation and the Quick Service meals we planned on going to each day. As you near closer to your Walt Disney World Vacation, you may want to have some staples delivered to your room if you don’t have a car. Here at the Tips from the Disney Diva, many writers suggest having Amazon Prime to deliver grocery essentials. And of course prepare food for traveling to Orlando and check which airlines would be best to accommodate your Food Allergies. When you ARRIVE, at your Walt Disney World Resort. You arrived at Walt Disney World. Your family is probably FAMISHED, as soon as you check in (we are from Canada so we DO NOT get our Magic Bands mailed to us), you may want to head to the Quick Service “Food Court” in your resort. Personally, even though you may have your Magic Band connected beforehand and are able to go straight to your room, I would go to the Front Desk to make sure your Dining Plan is connected and that you can start using your ‘credits’ right away! When you go to a Quick Service Eatery in your resort, ALWAYS look for either a Manager or a Cast Member providing Information who is usually in the middle or around the Quick Service Food Area. Ask them to please call the CHEF for you because you or one of your family members has a (or multiple) food allergies. Many CM’s will do so automatically but I have encountered a couple of CM’s who didn’t want to bother. INSIST to see a Chef and if they still don’t want to call the CHEF, ask to see their manager. The Manager will make sure the Chef comes out to talk to you. Once the Chef comes out to talk to you, they will discuss with you about the food allergies and make suggestions. They will write everything down and will provide you with a buzzer and tell you where to meet them when your Special Order is ready. 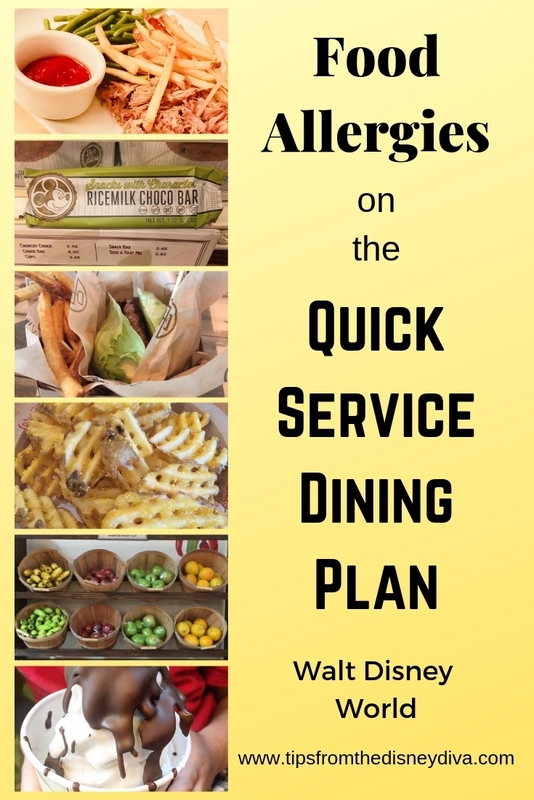 *one of the best advice I received from Larry Welnowski, the admin of the Disney Food Allergy Group on Facebook and his blog and Instagram, Disney Food Allergy Group, is to ORDER OFF THE MENU and that you don’t necessarily need to order from an allergy menu. If you have multiple allergies, many times they may not have anything suitable for you, so ask to see if the Chef and she or he can prepare something that can work with your allergies. This Quick Service Meal was prepared by the Chef after telling him about our Son’s Food Allergies. Once your order is ready and your buzzer goes off, you bring the buzzer back to the Chef and he or she gives you a tray with ONLY the Allergy-friendly food you ordered. You can then pick up a drink and go to “pay” at cash. Most of the time you tell the Cast Member at Cash, especially if it’s a child’s meal that Chef (her or his name) prepared this meal for your child and they will ring it in and take a Quick Service Credit off your band. As for Drinks, since all Dining Plans include the Refillable Mugs, many visitors “save” their drinks and swap it for a dessert instead since they can have a refill drink. You would have to ask a Cast Member to do the swap as sometimes, in my experience, didn’t allow this. Although most of the Sodas from the refill machines are okay for people with Food Allergies, our family personally did not feel safe for our son so we just put water in his refillable mug and grabbed a carton of Soy Milk or other bottles of “safe” drinks to put in the refrigerator of our resort as our “drink” that comes with the Quick Service meal. Note: There are many Allergy-Friendly snacks available at most resorts as well as Fresh Fruit that you can use your snack credit for. For packaged foods, always READ the ingredients on the labels first! 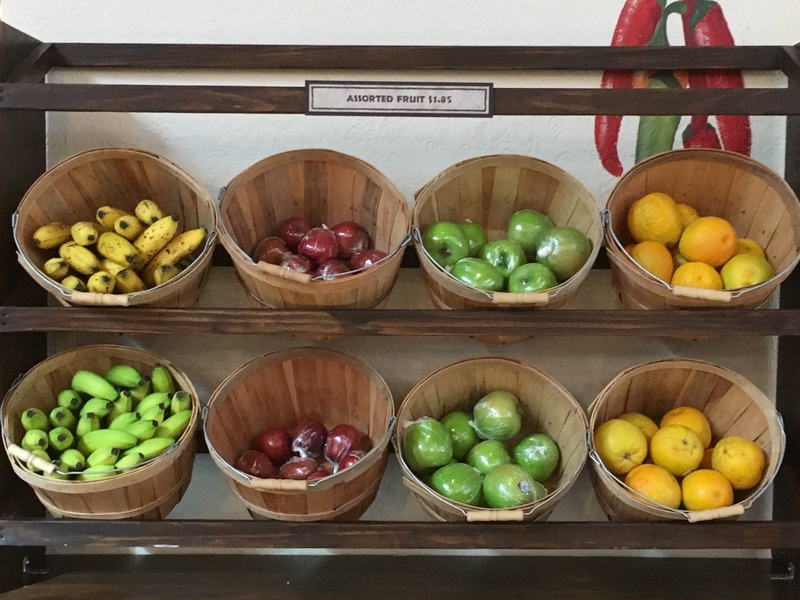 This array of Fresh Fruit was found at the Corondo Springs Resort in the Pepper Market Quick Service Eatery. You can use a Snack Credit for Fresh Fruit as well as Fruit Cups. As soon as you arrive, you may want to head over to the Theme Parks right away, especially if you arrived at Walt Disney World early in the day. If this is the case, see below. Our family likes to relax and settle in on our first day. We usually don’t go to the Theme Parks and either hang out at the Resort or head over to Disney Springs. Disney Springs has a lot of variety of Quick Service and Table Service Restaurants, however not all of them are good for Food Allergies. Again, research and check with the various Disney World Resources of which Eateries would help you. Our favourite Quick Service in Disney Springs is D-Luxe Burger which I wrote about here. One of our favourite Quick Service places is in Disney Springs, D-Luxe Burgers which makes great Allergy-friendly friends and burgers. 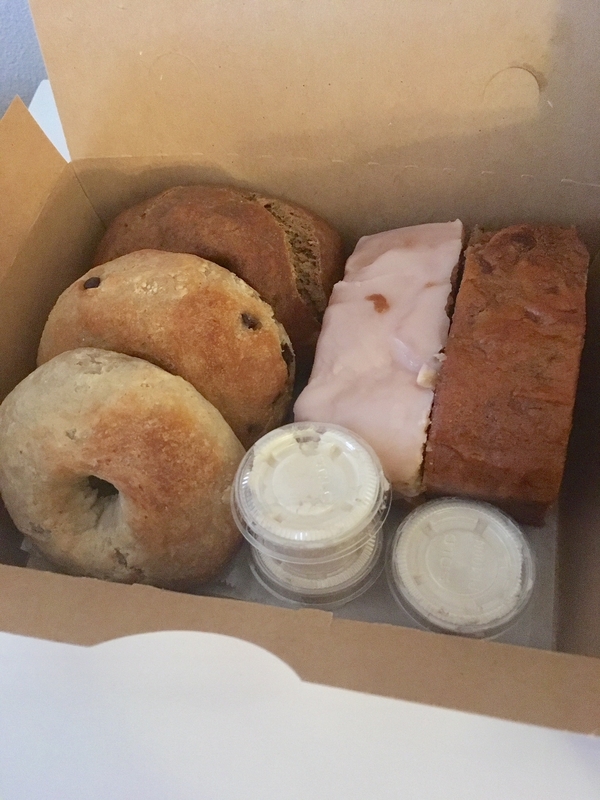 Our family likes to pick up boxes of “breakfast” treats like Bagels, Donuts, Tea Cakes etc. from this Bakery. These items, we can use as SNACK CREDITS and bring it back to our room for those early morning rope drop days where my son would have a quick breakfast snack before leaving for the parks. Some of the items we would put in our resort room refrigerator for the week. It was wonderful to pick up these treats on the first day, so that we had them on hand for the rest of our trip. Snack Credit Note: unfortunately, Erin McKenna’s cupcakes and some other items at Erin McKenna’s do not qualify as a “Snack Credit” on the QSDP, so you would have to pay out of pocket for their cupcakes. Please always ask a Cast Member of Snack Credits entitlements before ordering. Updated note: as of April 2019, Erin Mckenna’s will no longer be offering their well-known (and loved) gluten-free and vegan soft serve. A photo of the chocolate dipped soft serve in one of the photo collages above, was taken before the changes. We look forward to any new treat offerings they will have in the future. Quick Service Dining in the Theme Parks..
You have been planning this trip for months, hopefully you would have planned all of your Fastpass+ in advance and your family is ready to hit the Theme Parks. In the Theme Parks, Quick Service Eateries may vary slightly from the way you order and they may differ a lot on how how they handle Food Allergies. Usually when you go to a Quick Service, you will see Cast Members at the Cash around the front, you may ask them to speak to a Chef or Manager (often times we have seen Managers walking around near the front or they may have a designated spot, I usually try to look for a CM with a Clipboard). Many times the CM will hand you an Allergy Menu and/or binder, if you have multiple severe allergies like my son, you must still ASK FOR THE CHEF or MANAGER, as mentioned above. If the CM still refuses to get a manager or Chef, you must INSIST. When I was with my friend Tina M. Brown of Footprints in Pixie Dust at Animal Kingdom’s Flame Tree BBQ one time, the CM didn’t want to call the Manager or Chef. She just handed me an allergy menu. Tina told me to insist that I see a manager and I’m so happy I did. The Manager at the time, Andrew, was phenomenal and was very thorough and careful with my son’s Food Allergy order. When the Chef or Manager comes to see you, sometimes the Allergy Menu may not have many options for you. As mentioned above you can ask (nicely) to order off the menu. Most of the time, Chefs can work with your allergies especially if it is a place where they carry a variety of dishes for “regular” guests. If it is a standard Burger and Fries place, then that is what you will most likely get. This is where the research mentioned above comes into play, knowing which Quick Service Restaurant would have more variety than others. The places that do vary in ways to order..
Be Our Guest was a bit of a different experience than the other Quick Service Restaurants. It was one of our FAVOURITE Quick Service, as my teen daughter noted, it was ACTUALLY QUICK SERVICE for my son’s food allergies (the wait in line after checking in was a bit long though). Be Our Guest is a Quick Service for Breakfast and Lunch but Table Service for Dinner. Even though it is Quick Service at Breakfast and Lunch, it is strongly recommended that you need to make Advanced Dining Reservations for only this Quick Service. Also, we felt comfortable with not speaking to a manager or chef at this Quick Service because of the way it was organized, however YOU CAN ask to speak to the Chef if you would like to. The first time we went for lunch, a CM helped us at the Kiosk on how to order. We ordered my son’s food separate than the rest to make sure. When we were seated at our table, the Allergy Friendly meal came first and is ALWAYS separate than the others. It also had a Allergy-Friendly stick. We were so impressed with the meal that a few days later we wanted to go for Breakfast. This time the process was a bit different where we were directed to a special Cast Member at her own post who seemed to be handling specific dietary requests. Here we talked about our Allergies with her. She made sure to have our order correct and even called the chef for us to ask about an ingredient of the dish we were ordering. When we sat down, again, the Allergy-Friendly order was delivered separately from the rest. I was really impressed with the amount of care at Be Our Guest, it felt like a sit down restaurant with a Table Service feel and service (it’s also GORGEOUS inside). My son’s Allergy-Friendly lunch at Be Our Guest Restaurant in Magic Kingdom. As I mentioned above, Allergy-friendly meals are not exactly “Quick Service” because you have to wait for the Chef and they need to prepare the meal separately for you. When we are at our resort, getting ready in the morning or preparing for lunch or dinner before heading to the parks again (we like to go the Parks early, then take a mid afternoon break at the resort and then go to the parks again for the late afternoon and evening), many days I would go ahead first to order the “allergy-friendly” meal while my family was still getting ready in our room or finding a seat etc. Have someone go ahead first to order the Allergy-friendly meal and then have someone else order the rest while the Allergy-Friendly meal is being prepared. My son had a gluten-free, dairy-free and egg-free Kid’s Breakfast, always ask the Chef to tailor an Allergy-friendly meal for you. With the exception of Be Our Guest, usually I go ahead of our family to a Quick Service Eatery to order the allergy-friendly meal. My husband or my teenage daughter will then order their meals separately. Another great time saving tip is for your family members who DO NOT have food allergies, to do mobile ordering! My teen daughter (with no food allergies) or Husband would pick up their mobile order and sit to eat while I’m waiting for my younger son’s Food Allergy order. This system worked well for our family. As for mobile ordering with allergies, I know that mobile ordering has food allergy options and you can state your food allergies with your order. Because my son has severe, anaphylactic food allergies and he has multiple food allergies, I feel safer ordering directly from the Chef or Manager. Another reason is because many times we would have to order OFF THE MENU, so the Chef, if they have the ingredients, can tailor an order to my son’s allergies. A great way to s-t-r-e-t-c-h your Quick Service Dining Credits is to SHARE meals. Many of the Quick Service Meals, my children couldn’t finish so I would share with them. Or I would get a Snack Credit “meal” like an extra plate of fries, a bowl of soup or for breakfast, a fruit cup or muffin for myself and eat whatever my kids couldn’t finish from their meal. 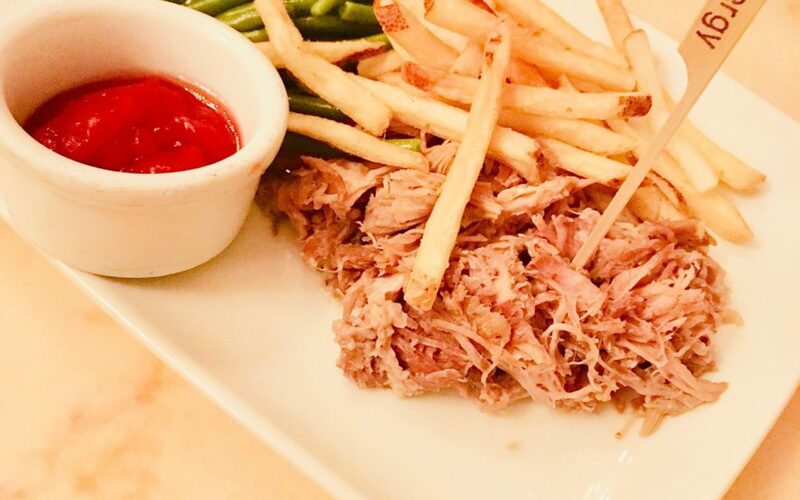 Another neat thing that Quick Service Chefs MAY do, is since they are using and setting up the dedicated fryer for Allergy-Friendly and special dietary meals, many times, they would give more than the standard portions of the Quick Service Meal. These were such wonderful magical extras (not guaranteed) but really helped make our Quick Service Dining plan go further (again read more about the Basics of the Quick Service Dining Plan here). There is a variety of Allergy-friendly snacks to enjoy. Many of the food stands have an Ingredients Binder for you to see. There are a lot of packaged foods in the Resorts Food Court as well as the Resort’s Gift Shops and Theme Park Gift Shops as well. ALWAYS read the ingredients list and research ahead of time. 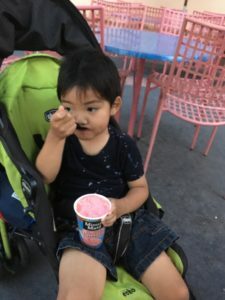 For our family’s experience, a few years ago, my son was able to enjoy the Dole Whip, the regular pineapple flavour is Gluten-free and Vegan which is safe for my son. Since that visit, some of the places that offer the Dole Whip added the Vanilla Swirl, because my son is so sensitive with cross contamination, we decided to not give him the Dole Whip. There are new additions and flavours of the Dole Whip in the parks and resorts and reports of some flavours in machines being separated from others, ALWAYS ask and check with the servers or better, ask for the Manager about food handling. A BIG SHOUT out to the Lindsey Bengivenga Klimuc, the admin of an incredibly informative Facebook Group, Parents of Children with Multiple Food Allergies (I highly recommend this group to any parent with children who have multiple food allergies, request to join), I learned from her about the Minute Maid Lemonade Cups (they also have Strawberry Lemonade at some locations) sold throughout the parks. Because these cups are pre-packaged, we felt safe for my son to have this treat (which he LOVED especially during the HOT Florida days). Minute Maid Lemonade Cups are a refreshing Allergy-Friendly treat sold throughout the Parks. Don’t Forget, you CAN visit other Walt Disney World Resort Eateries too! The Deluxe resorts and Moderate resorts have very well know Table Service Restaurants and ALL Walt Disney World resorts (including all Value Resorts) have a Quick Service eatery with many having very unique and wonderful Quick Service offerings! Famous Beignets can be made Allergy-Friendly by a Chef at the Port Orleans French Quarter Quick Service. Always check ingredients and order directly from a Chef for Food Allergies. 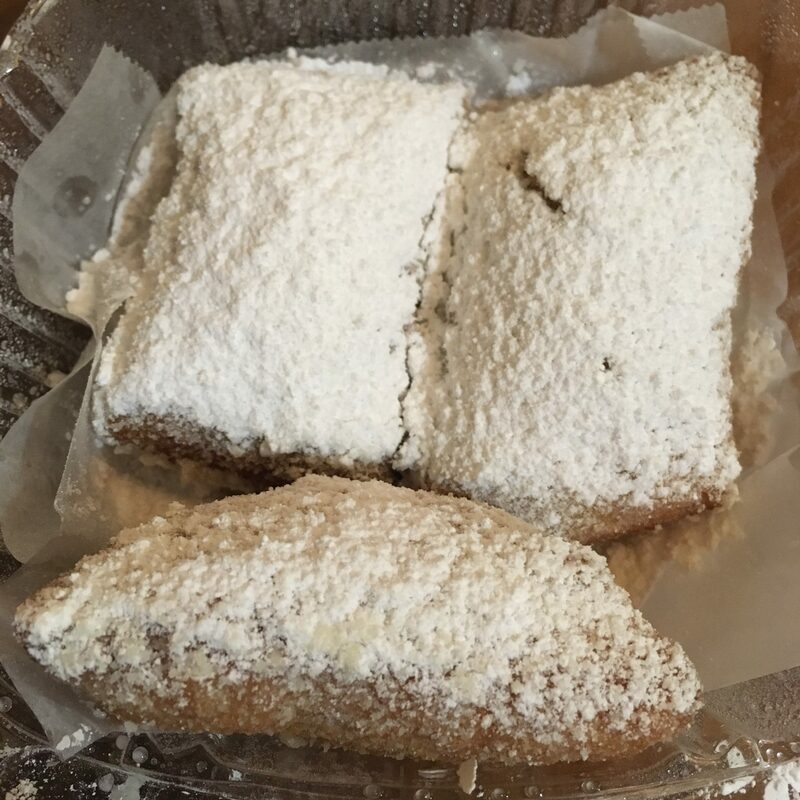 For example, I love Alexis Salerno’s blog, Alexis’s Gluten Free Adventure and from her, I heard about the FAMOUS Beignets at Port Orleans French Quarter Resort and that chefs can prepare an Allergy-Friendly version. I also heard other great reviews about this eatery and I knew our family had to visit Port Orleans French Quarter for one of our Quick Service Meals (you can “Resort Hop” and try different Quick Service Eateries). We went to Port Orleans during one of our “Free Days” at Walt Disney World, a day where we were not going to the Theme Parks. We had such a great meal with the Chef preparing a home cook like meal for our son. We have also made special trips to eat at the Art of Animation Resort’s Landscape of Flavor Quick Service as well as Animal Kingdom’s The Mara. It’s such a great way to visit another resort and enjoy a (relatively) quick meal, and YES you can use your Quick Service Dining Credit meal as well as use your Snack Credits at any of the Resort Eateries and Gift Shops. Always get a copy of your receipt from the Cast Member at Cash who rings your order through your Magic Band. Make sure you tell other members of your family to all get receipts when they order food, I especially made sure to tell my teenager, if she was going to a Quick Service Restaurant or getting a treat, to always get a receipt and give me all her receipts at the end of the day. This way you can keep track of your Quick Service Meal Credits as well as all Snack Credits used. I have heard of mistakes being made so it’s always good to go over all receipts at the end of the day and if there is a mistake, you can go to the Front Desk of your resort to resolve it immediately. Another general tip, Pixie Dusted Diva did a great video tip on Alcohol on the Quick Service Dining Plan. Many people say they don’t like any of the Dining plans because it is WAY TOO MUCH food. Our family personally used ALL of our Quick Service Meal Credits and Snack Credits up until we were leaving for the airport, we literally used up all of our Credits. How? Again, read my Quick Service General Review and see how important it is to PLAN ahead. Another great tip is, if you have any credits left, get any snacks to bring with you on your journey home or you can use snack credits for souvenirs for friends and family members. If you have any Quick Service Meal Credits left, you can ask the CM to trade in a Quick Service Meal Credit for 3 snacks! 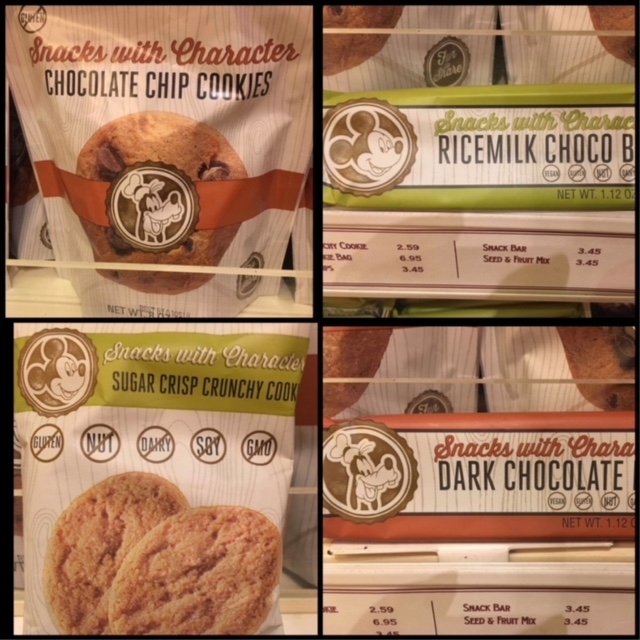 Enjoy Life Foods “Snacks with Character” found at Walt Disney World and Disneyland. Thank you to Pin Trading Diva for these photos. I mentioned above that I like to keep a journal and write down notes every day of our vacation. This includes writing down all the names of the awesome Chefs and Cast Members that helped us. This was also useful for when I wanted to thank them via TWITTER using the hastag #castcompliment to @WDWToday. You can read about this amazing way to communicate with Walt Disney World here. BIG QUESTION, would we do the Quick Service Dining Plan again? As mentioned above, the Quick Service Dining Plan with Food Allergies is not exactly “Quick Service”, there is still A LOT of waiting. At many places you do get the standard, chicken tenders or burger and fries. 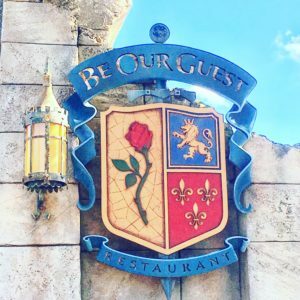 With research and planning, we were able to get GREAT meals, some home cook like meals (by ordering OFF THE MENU) and we enjoyed a pretty fancy meal at Be Our Guest. However, I do like this tip from Jared Welnowski of the Disney Food Allergy Group website says here. He states that since a family would have to wait at Quick Service anyway, you might as well enjoy a great meal at a Table Service where the wait time (for Food Allergies) may be the same. Many visitors say that they feel more safe with Food Allergies at a Table Service Restaurant as well and there is a lot more variety too. When we do go back to Disney World, we will most likely get the Quick Service Dining plan again BUT maybe do one or two Table Service to enjoy, and pay out of pocket. I would have to plan ahead to make sure we utilize the plan even better so that we don’t have credits left again. Or we may take the leap and upgrade to the Table Service Dining which includes one Quick Service Meal per night’s stay anyway so we can get the best of both worlds. I hope you enjoyed these Allergy-Friendly Quick Service Dining Plan tips. Let us know in the comments below or on Social Media the great Allergy-friendly experience you have had at Walt Disney World.